[section_dd][column_dd span=’12’][text_dd]The book is $30 and you can get your copy at the Cemetery Office! The book will also be available at the Legion on Monday before and after the Memorial Day program from 10:30am- 12:00pm. 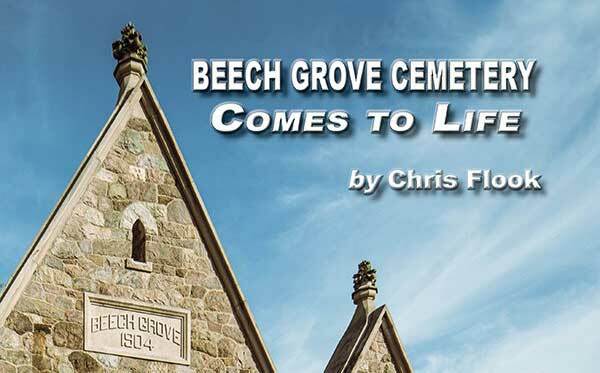 Beech Grove Cemetery Comes to Life is an exploration of the cemetery’s history and evolution, but also the lives of those buried there. Pioneers, politicians, soldiers, the rich and poor, doctors, shopkeepers, industry titans, suffragettes, and former slaves—44,000 unique individuals lay at rest in Beech Grove Cemetery. Those buried there represent the movers and shakers of Muncie, the men and women who shaped the city from an agricultural backwater, to a regional manufacturing capital of the industrial revolution, and have helped guide it after industry left.